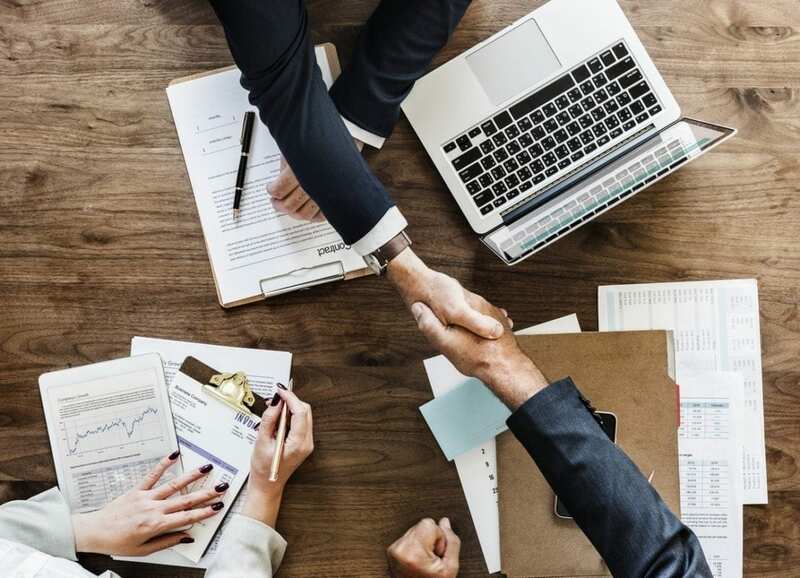 When narrowing down the best sales partner and representation to take your work to the next level, the most important step is to nail down are the art contract terms. Once your work begins to gain recognition, the offers start to pour in: But what if you’re ill-prepared? We’ve assembled some expert advice from lawyers who have navigated tricky circumstances within an art contract so that you – hopefully – will not have to. From identifying red flags in an art contract to understanding how to best advocate for yourself in reviewing the terms of the contract you receive, we’ll help you ensure your work is being treated with the respect that it deserves. A quick disclaimer: While we are happy to speak with legal experts and gain insights, every artist should discuss specifics with their personal counsel. We are happy to give input on the basics – and can’t be held responsible should advice be misinterpreted, so don’t hold us liable! In the meantime, feel free to use this guide to better ask questions of your own lawyer/legal team. While general art contract terms often resurface, it’s always best to seek specific advice for extenuating circumstances. Here, we look at overall, no-nonsense approaches that will help navigate contracts with ease. Artist, photographer and community icon Ventiko reflects on the encounters she has experienced through her creative career. “Unfortunately, I’ve learned don’t exhibit the work if there isn’t a detailed contract involved,” she notes. Without a solid art contract that encompasses the concerns of both the artist and their business partner, artists leave themselves vulnerable. By understanding key terms, you can be on the lookout for red flags. First, it’s important to note that each state is bound by its own legal specifics and rules – this is one reason why it’s helpful to gain insights of a legal team in a specific area. That’s especially true if multiple galleries across various states are representing your work. There are specific keywords in an art contract that artists should be able to identify and negotiate with care. Any agreement entered into with a potential business partner should be throughly reviewed before you sign it. Artist and lawyer Paul Davis narrows down the vocabulary that artists should be cognizant of when reviewing an art contract. Primarily, artists should be aware of circumstances denoting time period, date and monetary compensation. “Look at the term of the contract – how long can the dealer or space hold onto the artist’s artwork?” Davis suggests. He also sets forth other phrases artists should be looking out for, such as “payment terms”, “terms of sale of artwork”, “storage” and “insurance coverage. Creative legal team Christine Creamer and Rachel Tobias, Esq. are in tune with artists’ needs and specified the art contract terms artists should prioritize when negotiating with their business partner(s). The team notes that preventing problems before they begin requires artists to confront their art contract terms head-on. “The best way to protect oneself is to negotiate and discuss all issues with anyone (dealer, gallery, etc) you are getting into business with and to formalize that agreement with a contract,” Creamer and Tobias explain. While basic language may seem straightforward, legal contracts are notorious for having fine print and other wording that can be tricky for the uninitiated to intuit. Creamer and Tobias note that, unless the artist has art law experience, it ultimately would benefit the artist to have someone with strong legal knowledge review the final art contract. It will take someone who practices art law less time to take note of potential sticking points or areas of contention. Understand whether there are any rights you’re waiving before signing off on the terms of your agreement. “Always seek out legal assistance to represent [you] in negotiating or reviewing an art contract… [as] a simple looking contract may present unexpectedly complicated issues in some cases because there is more assumed/unstated, less clarity and often, less explicit understanding between the parties,” says Creamer. Someone practiced in identifying and improving such language can make an impact in the final provision of the art contract in favor of the artist. Ultimately, an investment in a solid art contract is an investment in your income potential. It’s important to do your own due diligence within art law and understand how your contracts are usually structured. You can even empower yourself and draw up a standard art contract with a lawyer that you then provide with onboarding clients. However it fits your working style, budget and capacity, you should implement steps to protect yourself proactively rather than reactively. Most importantly, it’s key to not feel pressured to sign an art contract before it’s been adequately reviewed. Key to signing an art contract is understanding the process to distributing proceeds from a sale, and what the artist is specified to waive under the terms set forth. If a contract includes a waiver, the artist needs to keenly understand the implications set forth in this aspect of the legal document. Any art contract suggesting that an artist waive their rights demands careful attention: An artist needs to clearly spell out, with legal assistance, what they are and are not willing to waive. In general, any language that makes you uncomfortable or doesn’t make immediate sense is worth a second look before you look the other way and sign. 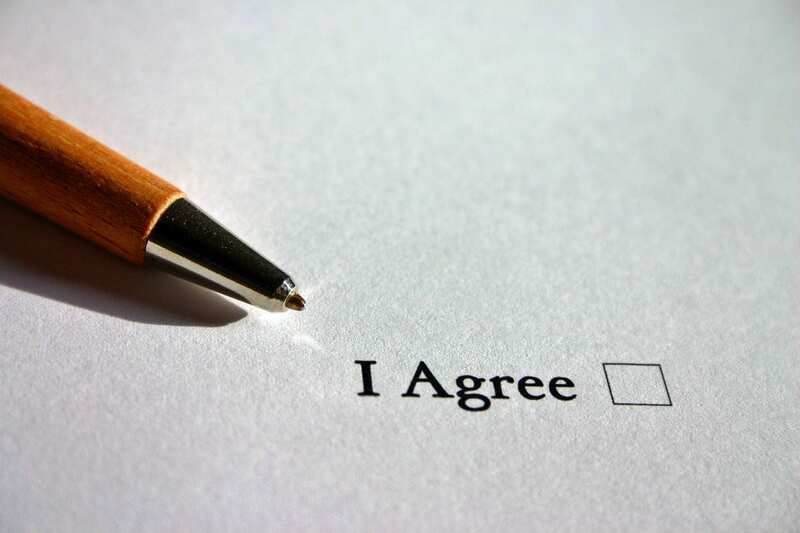 By signing something you didn’t understand, you are not only held liable to terms that are ambiguous to you, but you’re also setting yourself up for further intimidation further down the line. Legal language can be intimidating, but by confronting this language and asking for clarification from the other party or (to be safe) one’s own legal team, any initial misunderstanding can be resolved before they erupt into major issues. Finally, as artists get a savvier sense of how art law and contracts are generally presented and can identify recurring language with ease, it can help to have a checklist at the ready to easily and quickly review and return a basic art contract. Davis notes that having a reference point will help artists have a firm grasp of what they’re looking for in a contract better anticipate what to expect in future business dealings. By proactively gaining a sense of what legal advice should go into your own art contract, and keeping a record of what future contracts should entail, you’ll be a step ahead of the game as you begin receiving contracts at a faster rate and move on to more prominent clients who engage more formalized arrangements. Very fruitful and well taken advice to artists. The section on taking particular care with respect to waiving rights is particularly valuable. Everyone has questions about the ins and outs of starting a business. I found the book Artrepreneur: Making Your Dream A Business answers all of those questions and more. It’s definitely a reference tool to carry in your laptop bag and to have on your bookshelf. This book speaks directly to the artrepreneur in all of us. Definitely worth it.